The obvious question is who are the other 3 people in the photo ? 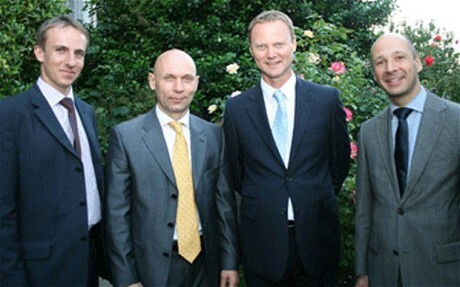 It is not unreasonable to suppose that anybody who recognises them, will assume that they could be Russian spies or that they are the alleged British potential recruitment targets of Mikhail Repin. Whether that makes him a spy, or not, is unclear. 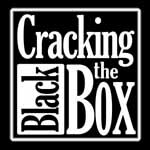 Were any BMW employees the targets of industrial espionage by the Russians ? Did the Daily Telegraph nick the photo of Mikhail Repin from Embassy Magazine ? The scene was set for a perfect summer BBQ - a warm evening, lush gardens of the Russian Ambassador's Kensington Palace Gardens residence, kebabs grilled on hot coals and ice-cold vodka cocktails. No wonder the Russian Ambassador's party is one of the favourite events of the summer! The original photo image on the Embassy magazine website is called CC_emb27_russia13.gif which ties in exactly with the EXIF Meta Data on the cropped thumbnail image just of Mikhail Replin's face on the Daily Telegraph website. 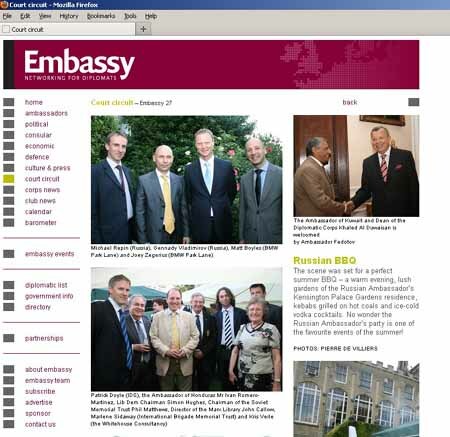 This Embassy magazine web page also has a photo showing the attendance at the same BBQ event of the Liberal Democrat MP at Simon Hughes, who is also mentioned in the Daily Telegraph story. This illustrates the potential threat to anonymity and privacy which even experienced mainstream media organisations like the Daily Telegraph pose, when handling digital images.